Only 15 days till Chloe's 1st birthday party! These days I am feeling a lot less overwhelmed about planning her party and am having so much fun with it now. I cant wait to see it all come together! Last weekend we bought Chloe's invitations and today I sent them out to our friends and family. They weren't what I had originally wanted but I'm really happy with what we picked out! We also have some party supplies purchased and will be buying a few more things this weekend. Chloe has the prettiest dress and shoes to wear but I still would like to find a pretty headband or barret for her to wear as well! This weekend we also will be purchasing this amazing banner from Bekah Jennings Esty shop. We are making a lot of progress I think and I cant wait to share with you all the rest of the details for Chloe's party the closer we get to her big day! Thank you Courtney! I'm very excited to take lots of cute pictures at Chloe's party! 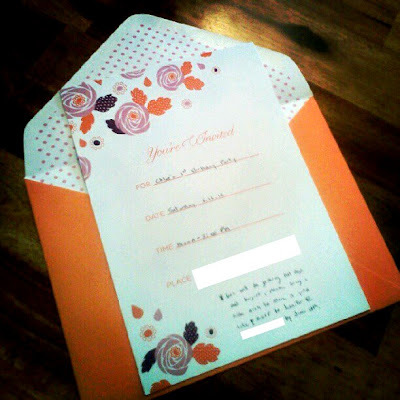 I love the invitations! The colors are so fun. :-) I can't wait to see how her party comes together! Thanks for stopping by my blog - your little girl is SO CUTE! I'm looking forward to reading more of your blog! Thank you Callie your so sweet! I'm so excited for her party and to get lots of cute pictures to share! 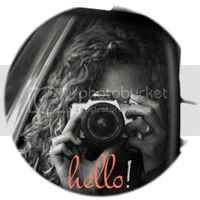 Thank you so much for stopping my blog and becoming a follower!